Another view of the Yanagishima Bridge as we turn towards the Yoko Jikkengawa Canal. 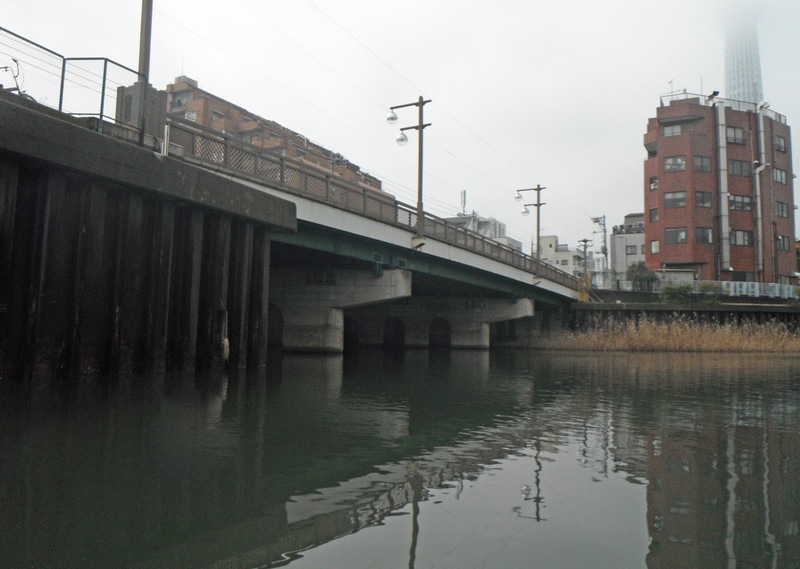 This bridge is about 80 ft wide and so the steel girder spans are supported by multicolumn, reinforced concrete bents. A blue water main is on the south side of the bridge. 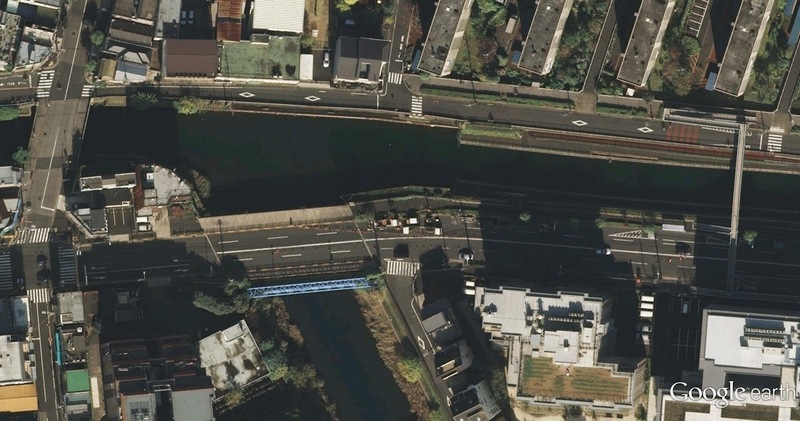 The recently studied Pedestrian Overcrossing and the Jikken Bashi can be seen in the Google Earth photo below. Tokyo, Japan's Bridges: Yanagishima Bridge across the Yoko Jikkengawa by Mark Yashinsky is licensed under a Creative Commons Attribution-NonCommercial-ShareAlike 3.0 United States License.